Organizations, large and small are increasingly adopting cloud services to quickly deliver much needed business services. This rapid delivery often comes at the cost of lost visibility and control over cloud services. Data from cloud service providers, if properly harnessed can be utilized to monitor and manage cloud services and also to correlate information across service providers. 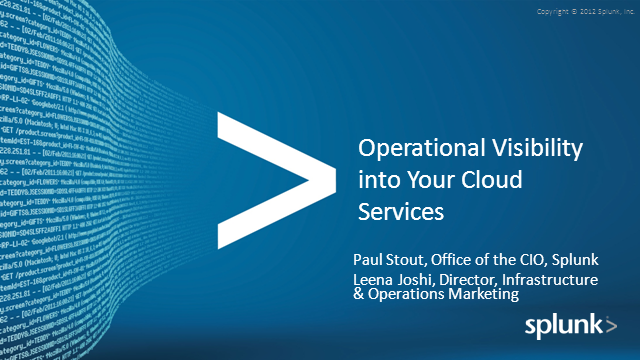 Join this webinar to find out how to use data available from your service providers to manage and monitor their services and hear directly from Splunk's office of the CIO on how to correlate information from his cloud services to gain new operational insights – using Splunk!